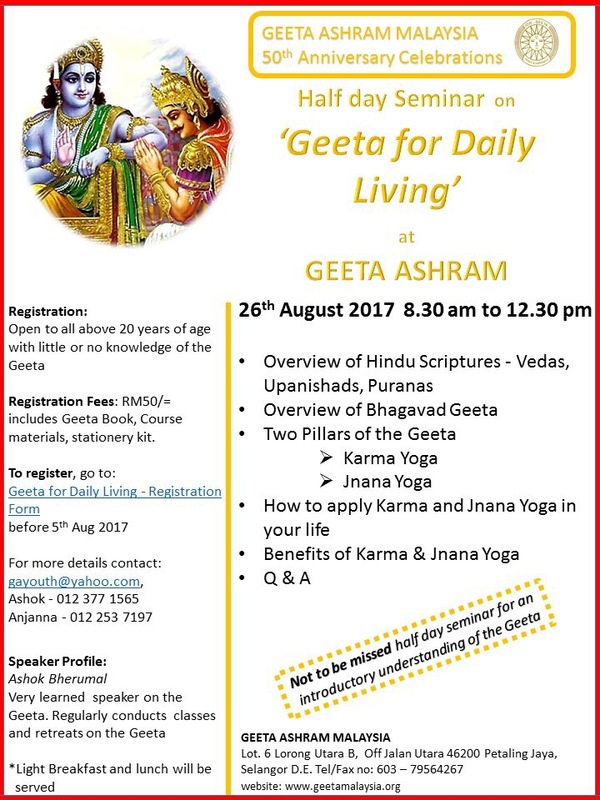 It’s only been a week since we advertised, and we are happy to note that our seats for our Geeta for daily living Seminar are filling up real quickly! For those who haven’t signed up yet, it’s not too late! Click here to register!